JOHOR BARU • It was a drive down memory lane when Johor's ruler, Sultan Ibrahim Sultan Iskandar, took the wheel of a first-generation Proton Saga and drove Prime Minister Mahathir Mohamad to the Senai International Airport yesterday. The vehicle was presented to the ruler's father 34 years ago in 1985, Malaysian media reported. 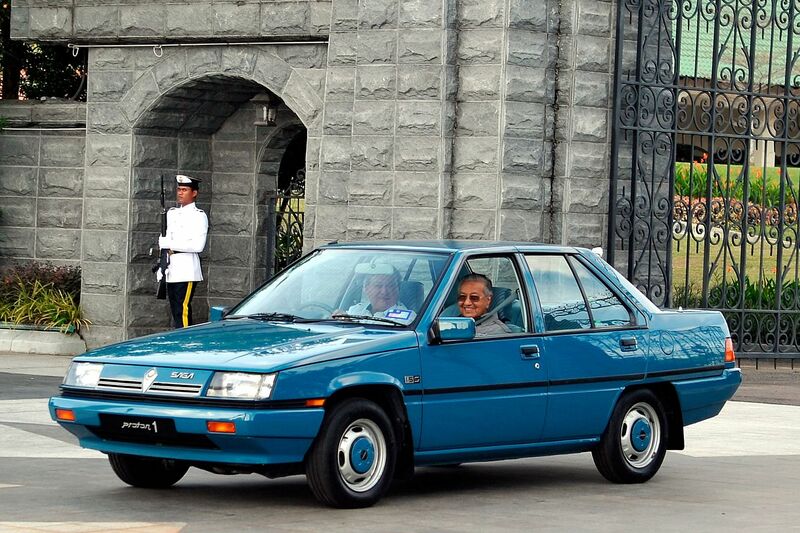 The blue car, bearing the number plate "Proton 1", was presented by Dr Mahathir to the late Sultan Iskandar Sultan Ismail, when the late state ruler reigned as Malaysia's king, The Star online reported. "The driving was good and there was no breakdown," Dr Mahathir joked with reporters later when asked about the journey, as quoted by the MalayMail.com news site. "The car is 34 years old. It has a manual transmission and has about 22,000km on its odometer. Basically, this is a good endorsement for Proton," he added. Proton, the national car company, was the brainchild and pet project of Dr Mahathir during his first tenure as prime minister from 1981 to 2003. He is now pushing to have a third national car, the second Malaysian car project being the Perodua in a joint venture with Daihatsu. The Saga was based on a Mitsubishi model. At the time of its launch, the Saga was sold at RM17,000. The meeting yesterday was the first time that Dr Mahathir and Sultan Ibrahim had met since the Pakatan Harapan coalition won the general election in May last year. The ruler, on his Facebook page, said that after the meeting, they shared a light meal. Pictures posted on the page showed Johor's Queen, Tuanku Raja Zarith Sofia, joining them for the meal. According to a source from the Prime Minister's Office, the meeting was held following a request by Sultan Ibrahim a few weeks ago, but what was discussed was unknown, The Star said. The two leaders had a frank exchange of views and agreed to keep communication channels open to avoid any misunderstanding, The Malaysian Insight news site said.